Member for Pittwater Rob Stokes today announced $100,000 for heritage improvements at the historic Church Point Cemetery. The funding will be provided to Northern Beaches Council as part of the NSW Government’s Heritage Near Me grant program. Improvements will include an upgrade to the street access and pathway, landscaping, and the installation of a viewing platform, seating and heritage information signage to improve amenity and increase visitation. “The historic cemetery at Church Point is a peaceful site in which visitors can explore and reflect,” Rob Stokes said today. The cemetery is adjacent to the small Methodist church that stood on the site between 1872 and 1932 and from which Church Point derives its name. Landmarks are defined as prominent or conspicuous objects on land that serve as guides to ships at sea, planes in the air, or travellers on a road. They may be buildings or distinguishing features of landscapes. Landmarks are also defined as significant or historical events and achievements. During February we will feature some Pittwater landmarks, commencing with a building that was once defined as a ‘landmark’. Placed where Pittwater road merges with Mc Carr’s Creek road on the high side, and overlooking Pittwater, one of our earliest landmarks was a wooden chapel constructed to serve the people of Bayview and Church Point. Measuring 25 feet by 18 feet and built in 1872 a congregation moved from services under loquat trees to hymns within this structure. By 1881 the building was utilised as a school for 22 children and was called the Provisional School, changing in name to the Pittwater Public School in 1884. The structure is reported to have given its name to the land as ‘Chapel Point’. The Aboriginal name is recorded as ‘Whurra Whurra’ although this is listed elsewhere as meaning ‘go away’ and ‘go home’ and may have been misinterpreted. In 1888 a school opened a short way along the road at Bay View Road and the church ceased to be used as a schoolroom. AN HISTORIC CHURCH. Church Point Memories. "This small church was situated quite in the wilderness, being the first erected in that part of the colony "
- George McIntosh, William Oliver, James Jones, Thomas Oliver, John Alderton, William Baker, all following the occupation of farmers, and residing at Pittwater, and William Henry McKeown, of Lane Cove, also a farmer. The rude forefathers of the hamlet sleep "
The statement of "J EC" that the minister could only visit this church about once a quarter accounts for the burials in this God's Acre being taken by the Rev R S Willis, M.A. Incumbent of St Matthew's Church of England, Manly, up to 1890, and therefore the records of these burials are contained in the Church of England burial register at Manly. This church was used in the week days from May, 1884, until 1888 as a Public school, and known as the Pittwater Public School under the charge of Mr S Morrison, who now resides at Manly. It was on July 19, 1887, that the late Sir Henry Parkes paid a visit to the school in this church building and signed the school's visitors' book. It is to be trusted that the demolition of this church will not be proceeded with, but that it will be restored, and again used for public worship, as the population is growing, and the nearest church is three miles away. This will save this historic place from going into oblivion. I have approached the church authorities with the hope that something may be done at the eleventh hour; even five members of my society (the Manly, Warringah and Pittwater Historical Society) having approached me to the effect that they are willing to spend a few Saturdays, if a conveyance can be provided to help to restore this building. "Remove not the ancient landmark which thy fathers have set." On July 20th 1887 Sir Henry Parkes, while having an ‘alfresco luncheon in the bush’ at Pittwater visited this lovely old building, signing the visitors book. NEWS OF THE DAY. Sir HENRY PARKES visited North Shore yesterday for the purpose of inspecting the crossing at Middle Harbour; known as the Spit, where it is proposed to erect a bridge, giving access to Manly by the North Shore-road. The Premier went over to Milson's Point at 8 o’clock in the morning, where Mr. Ives, M.L.A., the Mayor of Manly (Mr. Austin), and Mr. Charles Hayes were waiting in a carriage with four-in-hand. A start was at once made for the Spit, and the party were joined on the way by several other carriages, including another four-in-hand. The Spit was crossed by the punt, and after a drive round Manly, tho party, to the number of about 20, including the Mayors of St. Leonards and Victoria, breakfasted at the Grand Pier Hotel. 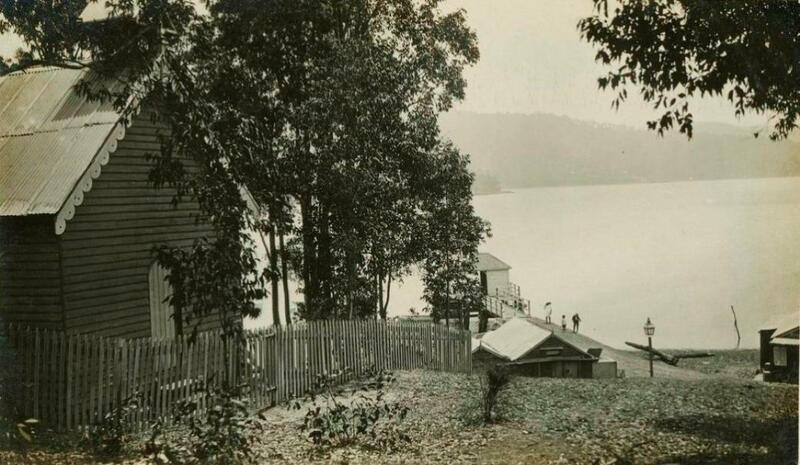 A start was next made for Pittwater, some 15 or 16 miles distant, and after an alfresco luncheon in the bush, at which the toasts of the health of the Premier and of Mr. Ives were heartily drunk, the return journey was commenced. Sir Henry arrived in town about 6 o’clock in the evening. No decision has yet been arrived at regarding the construction of the bridge. The church held services every week until around 1908 when a new Methodist church opened at Mona Vale and people no longer travelled to the spot. Services continued although members of the MWPHS visiting in 1926 record that the building and cemetery were in disrepair and letters to SMH Editor suggested this be rectified if services were to recommence soon. Plans to demolish the building ensued and the structure was torn down in April 1932 despite efforts to save it for its heritage value. 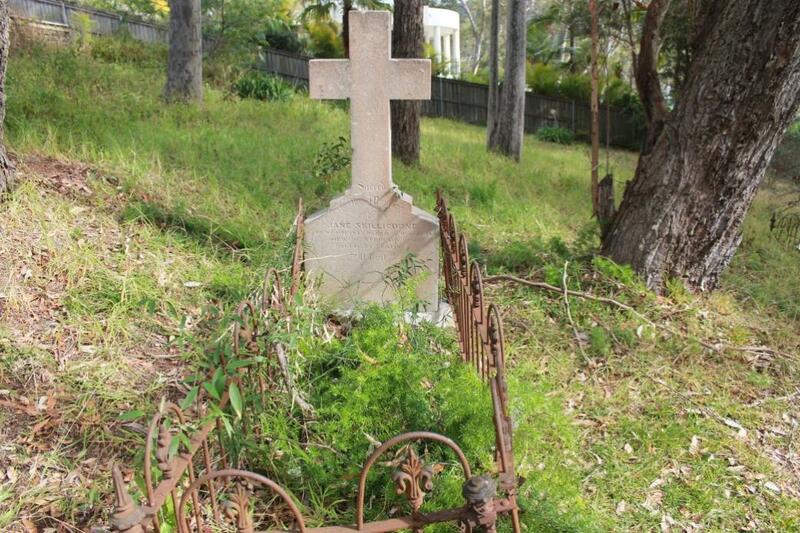 The cemetery, fortunately, remains in place and protected by our own Pittwater Council and residents. (See Church Point Reserve Association Website Below). EARLY PITTWATER. HISTORICAL SOCIETY'S PILGRIMAGE. Members of the Manly, Warringah, and Pittwater Historical Society on Saturday afternoon made a pilgrimage to historic spots In the Pittwater district. The party, numbering 34, proceeded to Church Point, and inspected the old Methodist Church and cemetery. Mr. P. W. Gledhill, honorary secretary of the society, delivered a lecture on the early history of Pittwater. 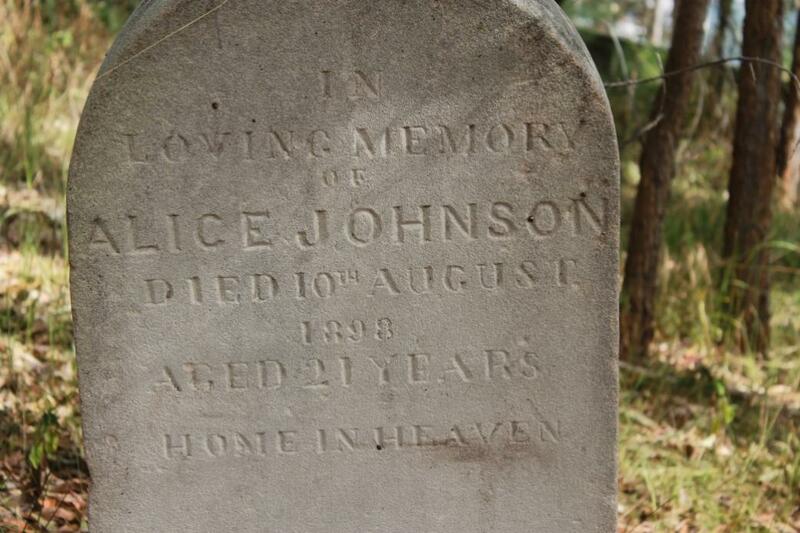 He said that the church was opened In 1873, and that the land for the cemetery was given by Mr. William Oliver. Mr. John Wheeler road a paper on Scotland Island and McCarr's Creek. EARLY PITTWATER. TO THE EDITOR OF THE HERALD. Sir,-With reference to the account in the "Herald" of last Saturday of the pilgrimage of the Manly, Warringah, and Pittwater Historical Society to historic spots in the Pittwater district, I may state I was a member of the party, and noticed the dilapidated condition of the old church at Church Point The cemetery is badly neglected, and requires fencing and other repairs, while the building itself needs painting. As I understand services are to be resumed shortly, it would appear advisable that the Methodist Church authorities should make an effort to restore the building and land to its one time orderly condition so that the old church may again become an attractive place of worship for residents and visitors In the Pittwater district. The demolition of the old Methodist Church at Church Point, Pittwater, which was criticised on the score that the building should be preserved on account of its historical associations has been completed during the last few days. The residents of the district were far from being unanimous concerning the wisdom of the decision especially in view of the fact that the nearest church is three miles away and those who opposed it were supported by the Manly Warirngah and Pittwater Historical Society. For several years the building was used on week days as a public school and In 1887 was visited by Sir Henry Parkes whose signature appears in the old visitors' book. The beauties of Pittwater and the facilities offered tourists has led to a number of residents forming the Bayview Church Point Progress Association, and one of its primary objects will be to place before the public the fact that Sydney possesses at its very doors one of the most picturesque resorts in the world, which is comparatively speaking unknown. THE LATE W. H. McKEOWN. It was not a matter of surprise when it was announced that Mr. W.H. McKeown had passed away on Sunday morning last. He had attained the goodly age of 91 years, and was gathered at last as a shock of corn fully ripe. He was a real father in our Methodist Israel, and his story deserves to be more fully told. He was buried on Tuesday last in the Waverley Cemetery. For the present we content ourselves with a journalist's tribute as it appeared in the 'Daily Telegraph' of Tuesday, June 11th. what was then called the Lane Cove district were always interesting, and the contribution he made to the material and moral welfare of the neighbourhood such as to deserve honourable mention. Mr. McKeown arrived in Sydney early in the year 1840, being then a lad of 19 years of age. He came from Ireland, and brought with him the sturdy qualities of the typical North of Ireland stock. His early attempts at finding a footing in Australia were associated with the care of 'Government men,' an employment from which he shrank, and which he speedily gave up. One temporary job succeeded another, in which his self-reliance and power of adaptation were tested and developed. About the year 1845 he accepted an engagement in connection with a newly-planted orangery in what is now called Pymble, and thither, with his young wife, he removed. Crossing from Sydney to the northside of the harbour, he found there was no made road to what was then the distant bush. He had to find his way through a dense forest, simply following dray tracks through the bush. A few bark huts at intervals along the way, the abodes of sawyers and wood getters, were the only signs of occupation of the territory where now stand the thriving suburbs of North Sydney, Chatswood, Roseville, Lindfield, and Gordon. Arrived at Pymble, there was a house licensed to sell beer only, an old wooden church, which served also as a school, and a public-house, where all sorts of drink, were sold. A gang or two of 'Government men' were employed hereabout, and timber-getting as the principal occupation. Orcharding on a small scale was also being attempted. For over half a century Mr. McKeown lived in the district, and witnessed its emergence from the primitive conditions in which he found it to one of the most popular and thriving of all the environs of the city of Sydney. The record of his personal struggles interesting enough to form the subject of a popular autobiography. The path of the early settler was beset with many difficulties. Droughts were interspersed with terrific hailstorms, the latter of which occasionally stripped the orchards and rendered them comparatively unproductive for years. Labour troubles even then in evidence although unions and strikes had not been invented. The discovery of goldcaused a stampede to the west of the Blue Mountains, labourers, clerks, shop-keepers, and even lawyers forsook their wonted employ to find their El Dorado at the Turon and Tambaroora. Mr. McKeown sufficiently caught the fever to take two trips across the mountains, but it was rather as a chartered driver in charge of organised parties, under contract for a consideration, than as a gold-seeker on his own account. He never believed in sudden roads to wealth, and never found one for himself. From the first Mr. McKeown was interested in the religious welfare of the district, and laboured personally earnestly to promote it. An old stone building stands on the Gordon-road, in Gordon, now as a store, which was the first substantial edifice for public worship erected north of North Sydney. It was built in the early fifties, at a cost of £850, and served also as a schoolroom, with master's quarters attached. For many years this was known as "Lane Cove" Chapel, and was served by ministers from the York-street Methodist Church, and by local preachers, of whom Mr. McKeown soon became one. The debt on it fell principally on its promoter's shoulders, and quaint are the tales he used to tell of the devices resorted to to meet the interest and reduce the debt. Zeal and self-denial eventually overcame all difficulties. 'Revivals' were frequent, and delighted the heart of the earnest man who was set upon the spiritual welfare of his neighbours. As population in-creased and spread, other 'chapels' were built at Willoughby, Hornsby, Pittwater, and other places, these being the pioneer places of worship in their respective neighbourhoods. 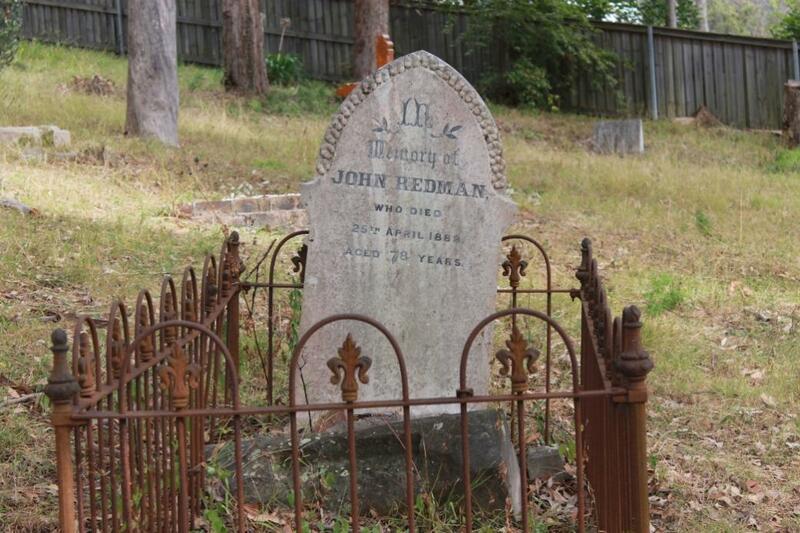 As long as strength lasted Mr. McKeown continued his voluntary labours as a lay preacher, and at the time of his death he was probably the oldest local preacher in Methodism in Australia. Apart from his special interest in Church matters, Mr. McKeown was a good citizen in respect of the interest lie took in the social and material welfare of the district. He introduced new and improved methods of fruit culture. As a poultry-raiser he showed what could be done by special strains adapted for egg-production or for table use. He set a high standard of commercial morality, and when on one occasion he assigned his estate — mainly through the failure of others to meet their engagements to him — he subsequently paid most of his creditors in full, although under no legal obligation to do so. He was an ardent politician, and took a keen interest in public affairs right up to the last. In the, days when candidates were openly nominated on nomination day, he was frequently chosen to 'propose' a candidate from the hustings, and. his local influence was such that his candidate usually topped the poll. For a period he served as an alderman in the City Council, when he was carrying on business as a wood and coal and fruit merchant in Sydney. More than once he was asked to stand for' Parliament, but he could never be persuaded to become a candidate. His house was ever a 'centre' of kindly hospitality, and the record of those who have sat at his table or slept under his roof at Roseville, Pymble, where he resided for over half a century, would be interesting as including ecclesiastics of all Churches, politicians of all hues, and commercial men from all the States and from over the seas. Since 1880 the North Sydney district has witnessed a wonderful development, and has become one of the most popular of all the residential areas of the metropolis. The Milson's Point-Hornsby railway line, has been the principal factor in bringing this about, and in securing the construction of the line Mr. McKeown took a leading part. Public meetings and deputations were organised by him, in conjunction with a few others, and successive Ministries were importuned until the work was put in hand, and at length carried to completion by the extension right to Milson's Point. With this the veteran's public work seemed to come to an end, and shortly after attaining his80th year he removed from the scene of his half century's labour to reside in quietude at Summer-hill. BEAUTIFUL PITTWATER. CHURCH POINT ESTATE. THE WEEK-ENDER'S PARADISE. ENTRANCING VIEW'S, with a scope of 100 miles of Smooth-water Navigation, suitable for MOTOR LAUNCHES and AQUATIC PLEASURE-SEEKERS. Highly Recommended by the Medical Profession for a Week-end Rest. AT THE CHURCH POINT WHARF, AND THE TERMINUS OF THE COACHES FROM MANLY. IN LARGE AREAS OP ABOUT THREE ACRES EACH. Well known as the Property of the late Dr. Tibbitts. General Store and Post-office adjoining the Estate. N.B.-This is the only Land available on the mainland, and will be Sold at Bargain Prices, so the Liberal Terms of 10 per cent, cash, Balance by 12 Quarterly Payments, interest at 4 per cent, perannum-, 5 per cent. Discount for Cash. Mr. A. M. SIMPSON, Storekeeper at Church Point, will point out the Land for Sale.